The central Pacific coast of Mexico offers a unique and wonderful retirement opportunity. Especially when you’re looking for a combination of affordability with a comfortable quality of life. Snowbirds and expats alike have found this region to offer not only a desirable climate and landscape, but a diverse array of budget and lifestyle choices. The city of Mazatlán is a good example. The “Golden Zone” is the primary tourist spot in the northern area of the city and home to the large hotel chains that cater to the bulk of visitors and tourist activities. At the southern end, however, life is much different. Strolling through the streets of Old Mazatlán reveals a vast contrast. 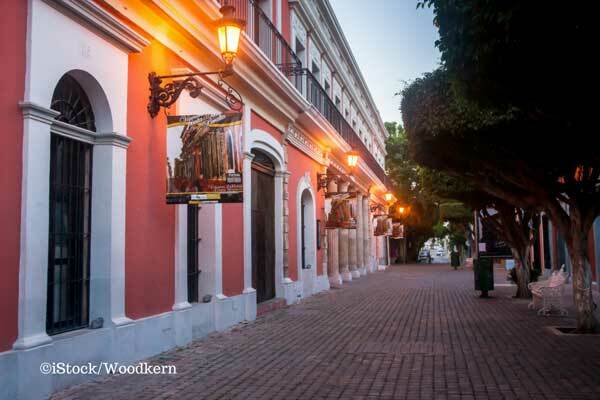 In the Centro Historic District, you can revel and immerse in a culture that began centuries ago when the Spaniards first sailed into the port in 1531. 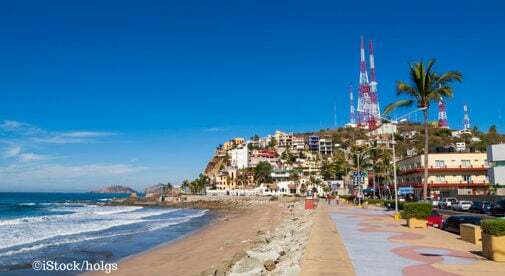 Old Mazatlán is like a throwback in time, with the feel of tradition and rich history. Authentic restorations of housing and infrastructure is a requirement by the local municipality for any renovation projects that take place there. Up and down the central Pacific coast of Mexico from Puerta Vallarta to Mazatlán and beyond, there’s a full range of price options for property. Everything from buying new homes and condos, to renting apartments, cottages, or beach properties. On one hand, you can pay $550,000 for an oceanfront lot at a top-notch resort community. Alternatively, you can own a new home in Mazatlán for $40,000. Renting can be as much as $1,200 a month depending on location. But for as little as $250 a month, you can rent something small near the beach, complete with water, power, and WiFi. High-end properties are available in all desirable locations. However, if you’re looking to retire on social security, a limited pension, or a nest egg, you can easily be comfortable, happy, and healthy here for a third, or less, of what it takes in the U.S. The small island peninsula known as Isla de la Piedra (stone island) is where I call my fall/winter home. It’s located on the opposite side of the Port of Mazatlán, just 15 minutes from the Centro Historic area. Having a population of about 2,000—consisting mostly of local Ejido natives who co-exist with expats, snowbirds, and Mexican tourists—it’s a bay, rimmed by a beautiful and tranquil beach. Many local families from the city come here weekends and holidays. Homes for rent and purchase on Isla de la Piedra can be found for as little as $20,000 to buy, and rentals range from $200 to $600 a month. Just a half mile down the shoreline lies a much different perspective. Miles of nothing but ocean, empty beach, and coconut plantations. All easily accessed and enjoyed by walking, horseback riding, or vehicle. The seemingly endless stretch of panoramic beauty eventually leads to an exclusive oceanside resort, Estrella Del Mar. It features a hotel, PGA Golf Course, condos, and oceanfront lots. It’s a beautiful place, one that the President of Mexico recently vacationed at. Exclusive residential lots are available there starting at $49,000 and climbing to $550,000 for an oceanfront piece of property. Here at the southern entrance to the Sea of Cortez, you’ll discover much of the allure that brings people south from the U.S. and Canada. In my opinion, right now, there may be no better place in Mexico to retire.